Based at the heart of West Sussex, Octego Ltd has a wealth of experience and knowledge to provide industrial kitchen installation and flooring services to a wide range of commercial clients across Sussex and the south of England. Contact us today and a friendly member of our team will be happy to chat through the details of any work you need completed. We are a family-run company with a long and successful track record in construction, renovation and maintenance services for the catering and food industry. We have more than 40 years’ worth of experience completing industrial building and maintenance works and enjoy a trusted reputation for excellent quality work. From small-scale fit-outs to high-end commercial kitchen installation or refurbishment projects, we will work with you to ensure that your business specifications and timescales are met to the most rigorous standards, exceeding your expectations. Customer satisfaction is our absolute priority. With Health & Safety being of the utmost importance, our team of professional design and installation contractors bring a wealth of experience to satisfy even the most stringent requirements for kitchen spaces and equipment in a commercial environment. Octego will guide you through all aspects of your industrial kitchen project, from the initial design through to installation and maintenance. 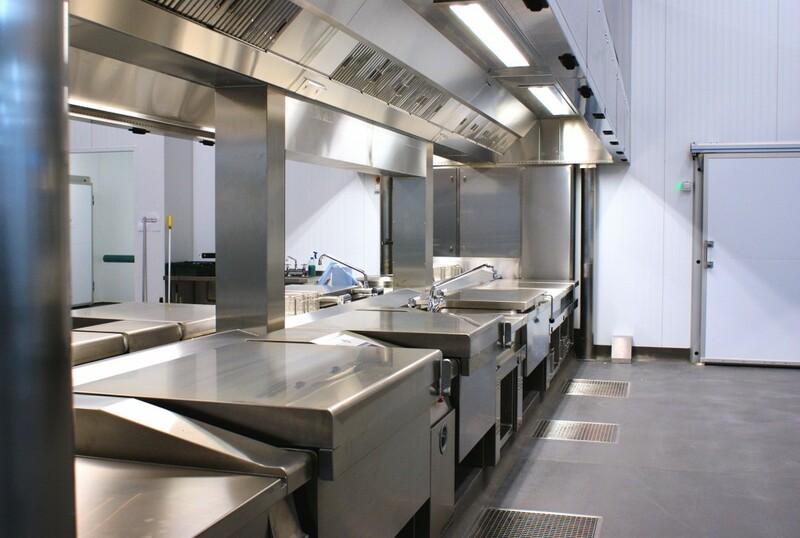 With our specialist expertise covering groundworks, resin floors and hygienic wall cladding, you couldn’t find a better or more reliable partner to help design and install first-class commercial kitchen facilities. 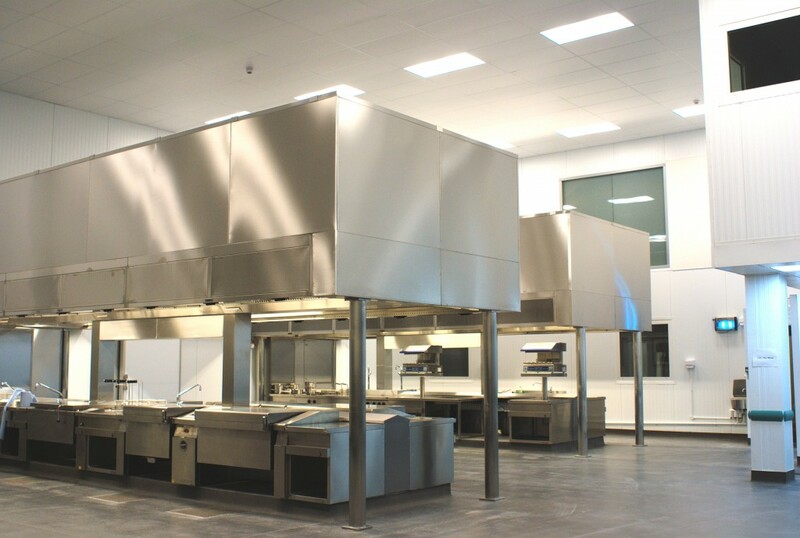 Octego Ltd specialises in supplying high-quality and hygienic industrial kitchen flooring services to clients in the food and catering industry, food factories, the production industry and also in schools, colleges and restaurants. Commercial kitchen floors are subject to rigorous demands. Often extremely busy with a large number of staff members working together, it is imperative that the flooring surface is non-slip, non-absorbent and hardwearing to withstand such heavy usage. As specialist flooring contractors, our bespoke service ensures that any flooring solution we install creates a safe and hygienic working environment for you and your operatives. Easy to clean and to maintain for many years to come, we have industrial kitchen flooring solutions to satisfy commercial installations large and small. Contact us today or call 01444 405269 to discuss your requirements for industrial kitchen installation and flooring, or to arrange for a site visit and quote.